7. 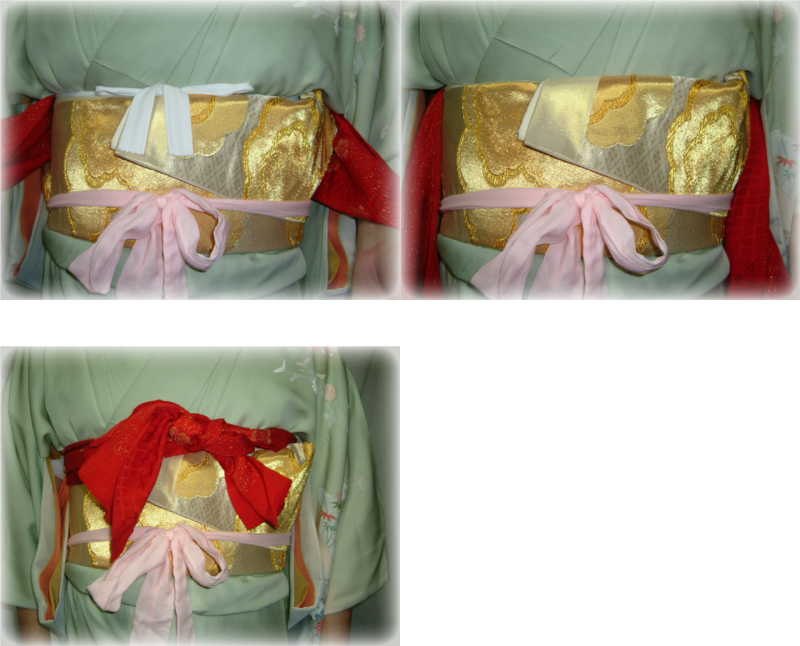 Tie the sashes at the position of the upper part of the obi, and put them into the obi. Tie the Obiage loosely for the meantime. 8. Bring up the end of the obi covering the Obimakura on your back, and hang it on your sholder. Then fold the excess part of the obi on your back, and bring down the obi on your shoulder to keep it folded.